I've talked about my involvement with the Pittsburgh Symphony Orchestra's New Leadership Council before here - it's something that I've really loved being a part of. 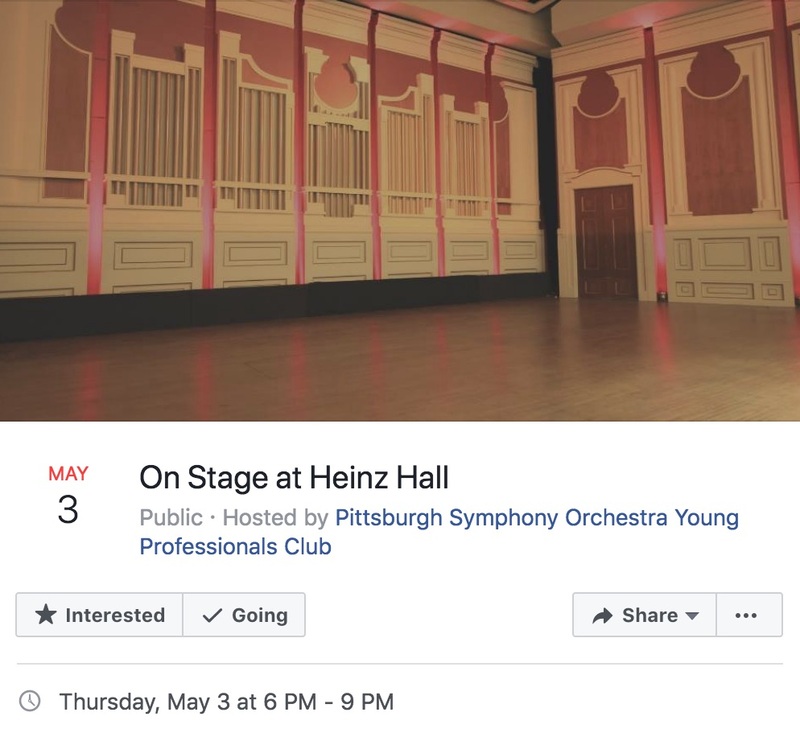 I've also mentioned (here) that we recently launched the Young Professionals Club, a group for young professionals in Pittsburgh who enjoy classical music and are looking to socialize and network! The Young Professionals Club is holding a fun happy hour on Thursday, May 3. 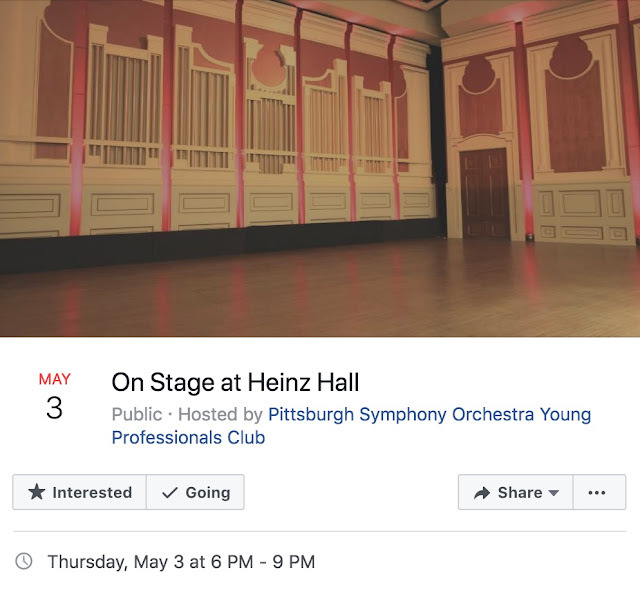 It's going to be at Heinz Hall, where the symphony performs - but it's not just at Heinz Hall, it's actually going to be held on the stage! I've honestly never been on the stage before, so I'm really excited about this. There will be food and drinks, plus performances by members of the symphony! I'm really looking forward to this happy hour - I'd love to see you there, too! You can check out the Facebook event page here, or buy your ticket here.